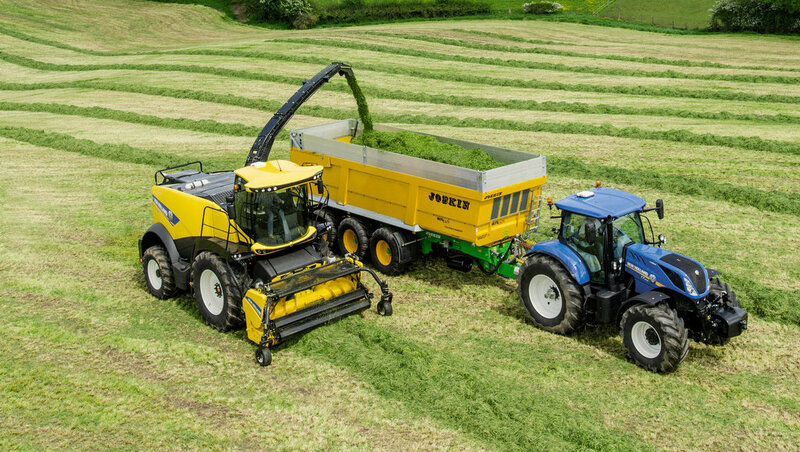 In collaboration with Dinamica Generale, real time forage analysis will be available on New Holland’s range of FR Forage Cruiser self-propelled forage harvesters for the 2017 season. IN PICTURES: 104 self-propelled foragers all working in the same field! NIR On Board records crop nutrients such as dry matter, protein, fat, starch, fibre and ash. Using near infrared (NIR) technology, the system is optional on all new FR Forage Cruisers. Called NIR On Board, it costs €9,900 (£8,420). Dinamica Generale's own display is required for NIR On Board. 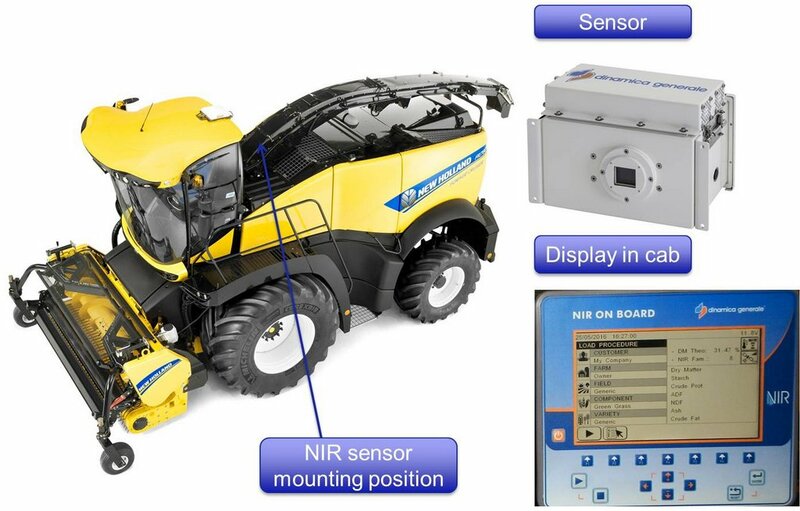 Mounted on the forager’s spout, the sensor fires NIR light into the crop flow, which is then detected as it is reflected back. This is analysed to indicate crop nutrients such as dry matter, crude protein, crude fat, starch, neutral detergent fibre, acid detergent fibre and ash, which is recorded while harvesting. The firm claims an accuracy of +/- two percent. Stored data can then be transferred via a USB key or suitable wi-fi or GPS connection to a farm PC. Sensors require an annual calibration update; this can be done by Dinamica Generale remotely through an internet connection however.